In this article we will discuss on How to Subtract Days, Weeks, Months, Quarters or Years from DateTime in Sql Server? How to Subtract Days from DateTime in Sql Server? 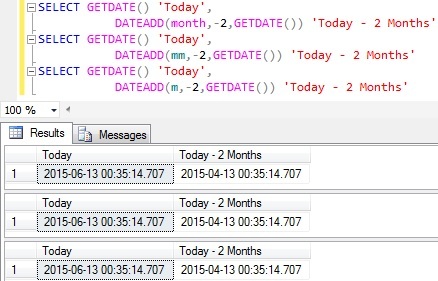 Alternatively, we can Subtract Days from Datetime like below in Sql Server. In the below example we are subtracting 2 days from DateTime. 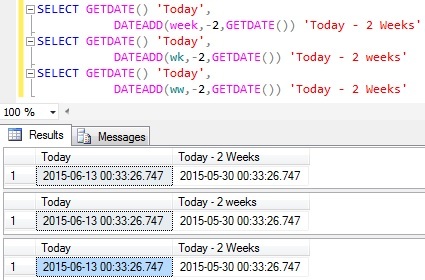 How to Subtract Weeks from DateTime in Sql Server? How to Subtract Months from DateTime in Sql Server? 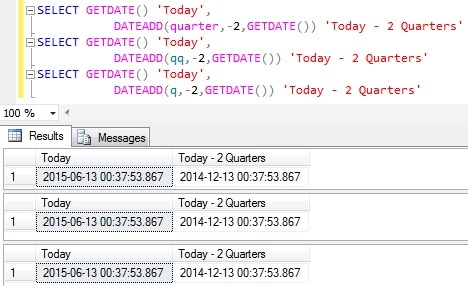 How to Subtract Quarters from DateTime in Sql Server? 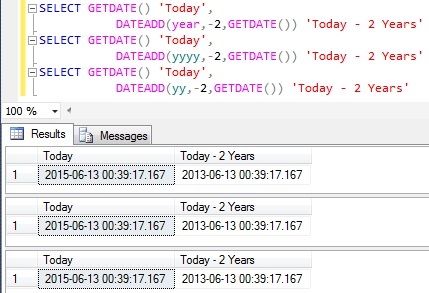 How to Subtract Years from DateTime in Sql Server?